In an era of unprecedented and aggressive immigration enforcement, attacks on the immigration system, and anti-immigrant rhetoric, millions of people across the United States are at risk of long-term detention and deportation. Since 1996, the average daily population of detained immigrants has ballooned from around 9,000 to more than 51,000 projected by the end of 2018.1996 figure from Alison Siskin, Immigration-Related Detention: Current Legislative Issues (Washington, DC: Congressional Research Service, 2004), 12 & figure 1, https://perma.cc/R4VN-L7YV. 2018 figure from U.S. Department of Homeland Security (DHS), U.S. Immigration and Customs Enforcement Budget Overview: Fiscal Year 2019 Congressional Justification (Washington, DC: DHS, 2018), 5, https://perma.cc/98A8-EBZY. This dramatic increase in detention is the result of stepped-up enforcement and is the latest in a decades-long push to criminalize immigration, placing immigrant communities under significant duress. Meanwhile, the federal government continues to ratchet up its demands for more detention funding in both private facilities and in contracts with local jails.See DHS, U.S. Immigration and Customs Enforcement Budget Overview: FY 2019, 2018. In response to the visible community impacts of these policies, a growing movement of local, state, and national advocates and leaders are pioneering strategies and policies to protect the rights of immigrants in their neighborhoods. This toolkit offers one proven solution for those who wish to strengthen protections for immigrants: universal legal representation for all at imminent risk of deportation. While people accused of crimes are entitled to government-funded counsel to assist in their defense, immigrants facing deportation are not. Despite the high stakes involved when individuals face deportation—permanent separation from their families and their communities, and sometimes life-threatening risks in their countries of origin—immigrants are only entitled to representation paid for by the government in extremely limited circumstances.Under a court order in the 9th Circuit, certain detained immigrants who have been deemed mentally incompetent to represent themselves must be provided with counsel. See Franco-Gonzalez v. Holder, 767 F. Supp. 2d 1034, 1056-58 (C.D. Cal 2010). As a result, many immigrants go unrepresented, facing detention and deportation alone. In contrast, providing publicly funded universal representation for anyone in immigration proceedings who cannot afford a lawyer (akin to public defense in criminal cases) protects the widely shared American values of due process and fairness. It has also proven highly effective against extended detention and deportation.For a summary of this research, see Karen Berberich and Nina Siulc, Why Does Representation Matter? (New York: Vera Institute of Justice, 2018), https://perma.cc/NTM6-F8UN. 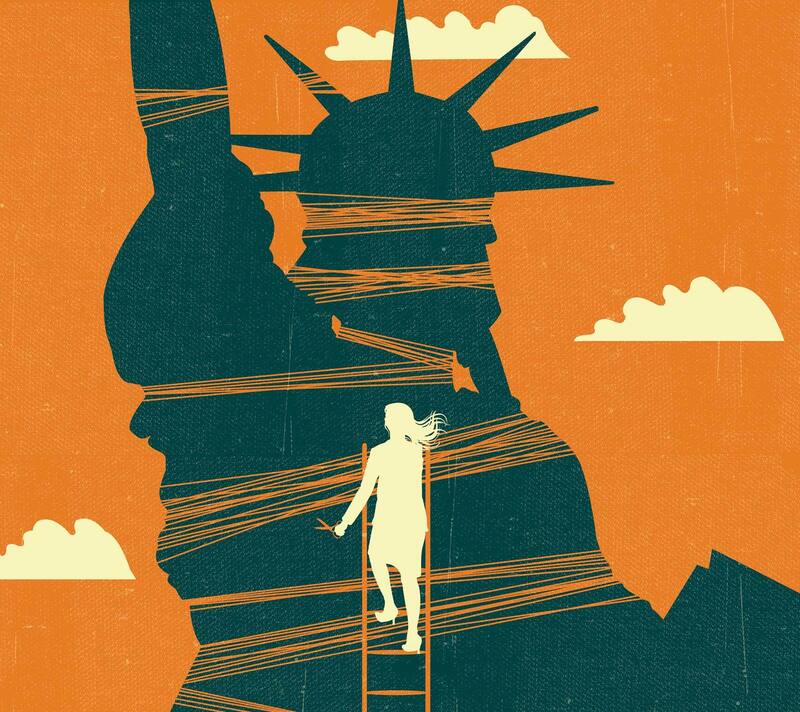 Universal representation injects fairness into the system by giving immigrants the opportunity to access the rights they are entitled to under U.S. law. Universal representation is a crucial last line of defense to keep families and communities together. The Center for Popular Democracy (CPD), the National Immigration Law Center (NILC), and the Vera Institute of Justice (Vera) work together to expand the national movement for publicly funded universal representation. CPD and NILC provide strategic support to local and state advocacy campaigns. In 2017, Vera launched the Safety and Fairness for Everyone (SAFE) Network in partnership with a diverse group of local jurisdictions, all dedicated to providing publicly funded representation for people facing deportation. Through the SAFE Network, Vera provides strategic support to government partners, legal services providers, and advocates. Collectively, CPD, NILC, and Vera also coordinate at a national level, creating resources and space for advocates advancing universal representation to share, strategize, and learn from one another. This toolkit is informed by CPD, NILC, and Vera’s experiences advancing the universal representation movement. These experiences have been guided by the expertise of advocates, organizers, legal services providers, and policymakers across the country who have led publicly funded deportation defense efforts. The toolkit is intended to equip these stakeholders—advocates, organizers, legal services providers, and policymakers—with strategies to make the case for implementing and sustaining universal representation programs. • Module 1 makes the case for universal representation and describes the importance of implementing the universal representation model, even when it starts out on a small scale. • Module 2, forthcoming in 2019, outlines how to build an advocacy campaign advancing universal representation. • Module 3, also expected in 2019, describes best practices for designing universal representation programs and profiles different jurisdictions’ programs.